Hogs are raised on a farm near Osage, Iowa. Undercover investigations of industrial farms have been at a standstill ever since a wave of ag-gag laws effectively criminalized undercover investigations over the past three decades. But this week, a district court judge struck down Iowa&apos;s law for violating the First Amendment—the latest of several rulings turning the tide in favor of animal welfare advocates. "By its own terms," Judge James Gritzner found, the law targets "speech that inflicts no &apos;specific harm&apos; on property owners, &apos;ranges very broadly,&apos; and risks significantly chilling speech that is not covered under the statute." Iowa is one of 11 states to have adopted these laws, which vary in scope but generally make it a crime for activists and journalists to record or film inside agricultural operations like slaughterhouses, livestock confinements, and puppy mills without the owner&apos;s permission. 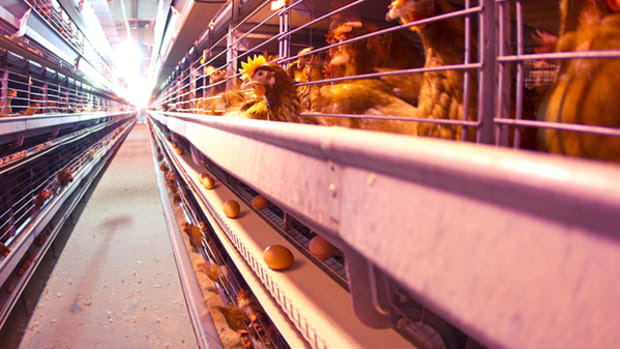 As animal rights groups began infiltrating farms to expose welfare abuses and safety hazards in the 1990s, producers pushed back, decrying the practice as "eco-terrorism." In a period known as the "Green Scare," three states passed ag-gag laws to protect themselves from activists. And when several high-profile investigations sparked national outrage in the early aughts, more states followed. 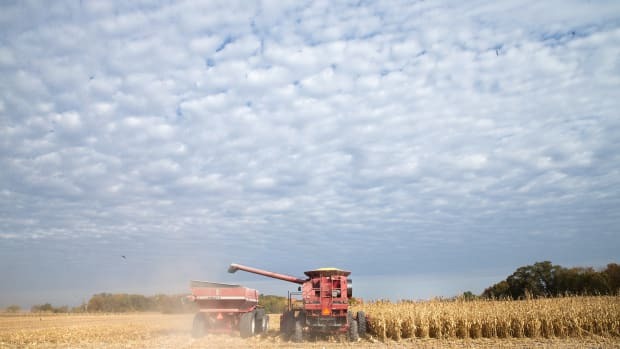 Iowa passed its legislation—officially called the Agricultural Production Facility Fraud law—in 2012, after animal welfare groups turned up abuse and safety hazards at Iowan industrial farms in several widely publicized investigations. As a result, the Animal Legal Defense Fund says, no undercover investigations have taken place in the state since the law&apos;s passage. 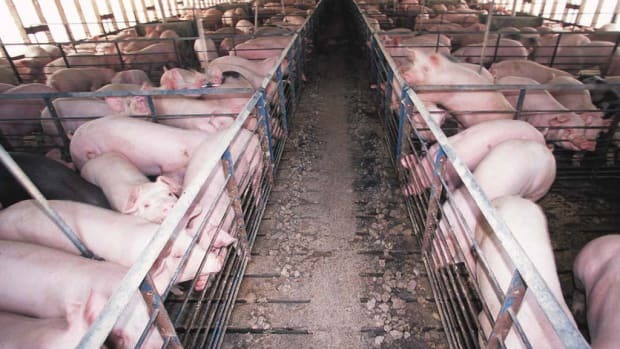 Proponents say these investigations have become one of the most useful tools for keeping mismanaged farms in check: Many have resulted in significant improvements in animal welfare, prompting boycotts and bankruptcies of the offending facilities, convictions of employees and owners, statewide ballot initiatives banning practices like gestation crates, and the largest meat recall in United States history, according to Michigan State University&apos;s Animal Legal and Historical Center. 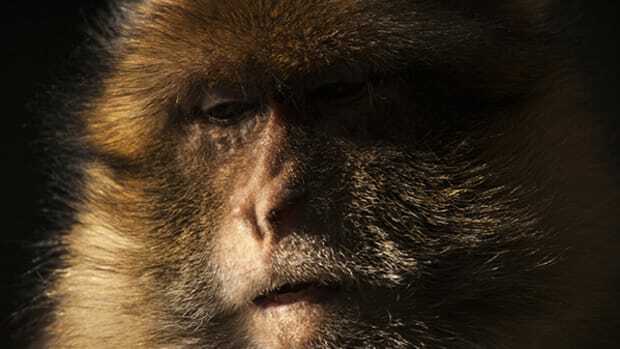 "These things were behind closed doors, and the work of People for the Ethical Treatment of Animals and activists all around the country to bring these images to the public have really started paying off," PETA spokesperson Amber Canavan says. In Iowa, for example, PETA and other groups found instances of workers "hurling small piglets onto a concrete floor" and beating them with metal rods, court documents show. 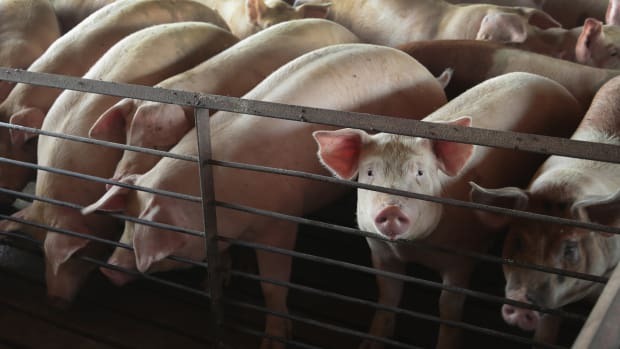 The backlash caused producers to panic: Lynn Becker, chief operating officer of LB Pork, referred to one PETA video as "the 9/11 event of animal care in our industry," according to the progressive non-profit group Center for Constitutional Rights. 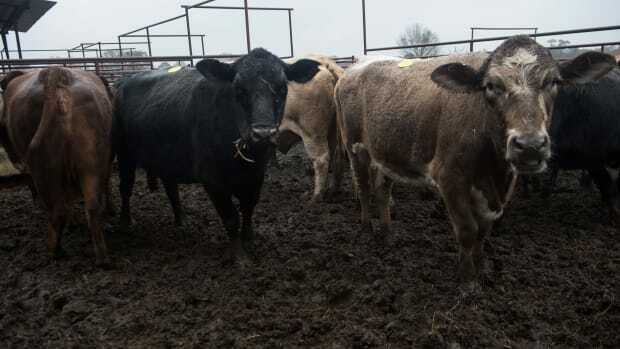 Since ag-gag&apos;s heyday in the mid-2000s, courts have found similar laws in Wyoming, Idaho, and Utah to be unconstitutional; animal rights groups are currently challenging North Carolina&apos;s ag-gag law, the Associated Press reports. That leaves six states with such laws still in place. 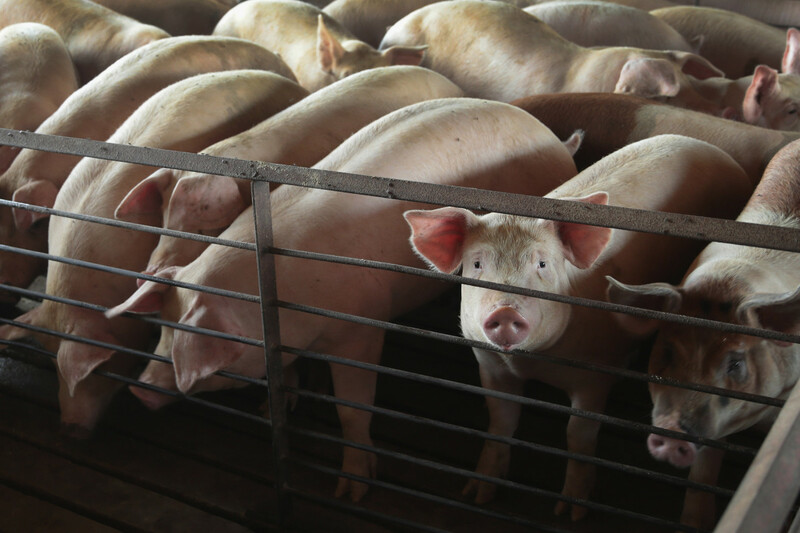 In Iowa, animal rights groups are celebrating this week&apos;s ruling as a victory for free speech, while the Iowa Pork Producers Association continues to defend ag-gag as necessary to protect their business. "Ag-Gag laws are a pernicious attempt by animal exploitation industries to hide some of the worst forms of animal abuse in the United States," Stephen Wells, executive director of the Animal Legal Defense Fund, one of the plaintiffs in the case, said in a statement. The ACLU of Iowa argues this law is no different than its predecessor, which was ruled unconstitutional this year.